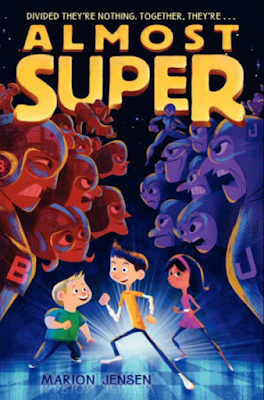 Almost Super is the first book in a new series that I found at the library the other day. This book is about a boy named Rafter Bailey and his brother, Benny, whose entire family are superheroes. They are in a constant war with the Johnsons who are the supervillians. When Rafter and Benny suspect the Johnsons of stealing their powers, they know they have to try to get their powers back. But how will they fight the Johnsons without their true powers? I thought this was a great book because Rafter and Benny were supposed to get good powers but they ended up useless ones. They still made the best of their powers and tried to help their family. Even when their parents didn't believe in them, they kept trying to help save the day.